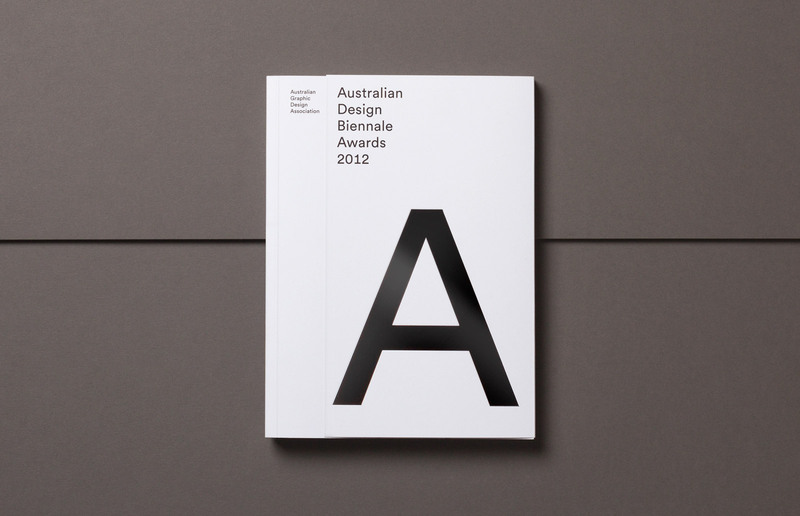 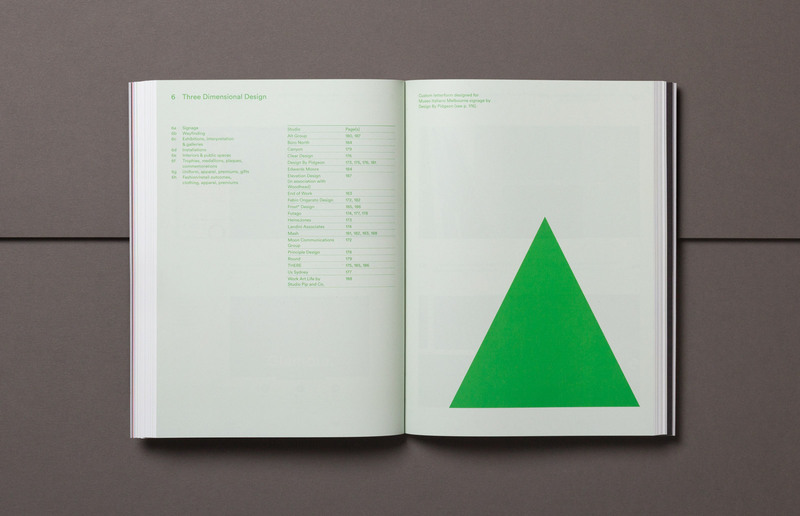 In 2012, AGDA relaunched its biannual National Awards program as the Australian Design Biennale (ADB012) under the fervent direction of Andrew Ashton. 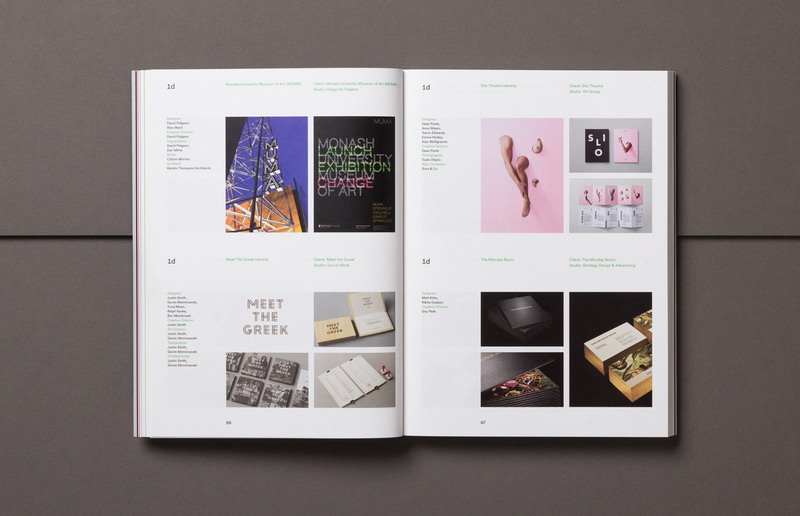 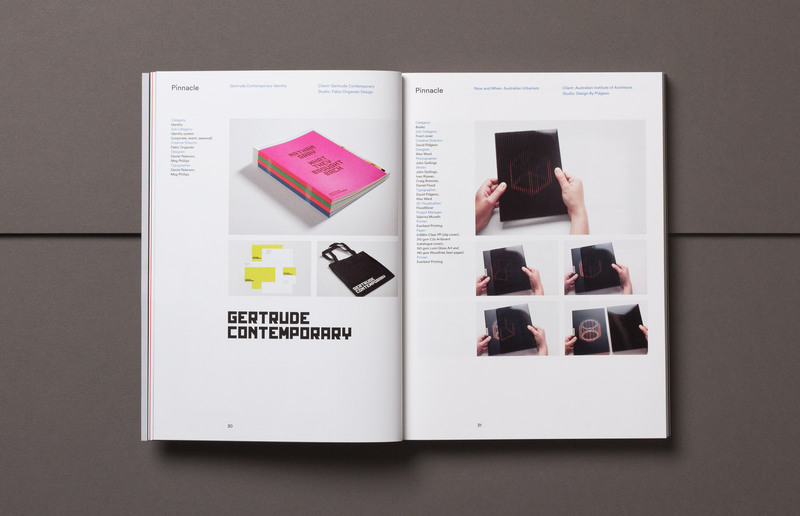 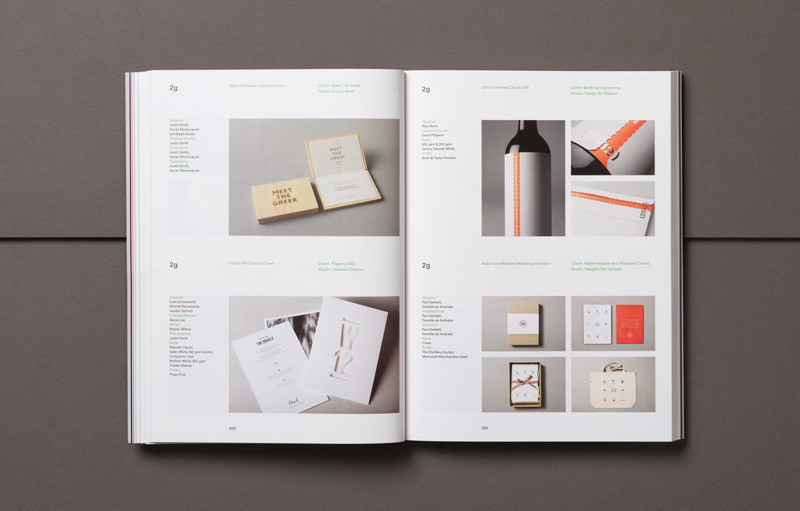 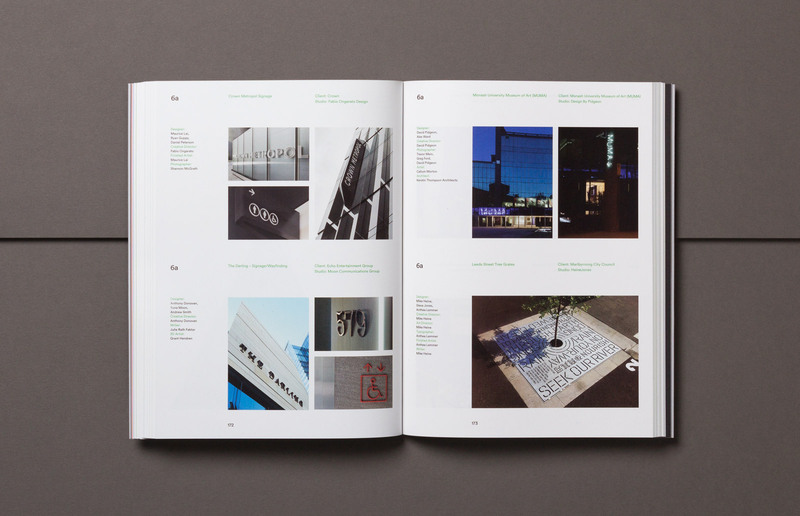 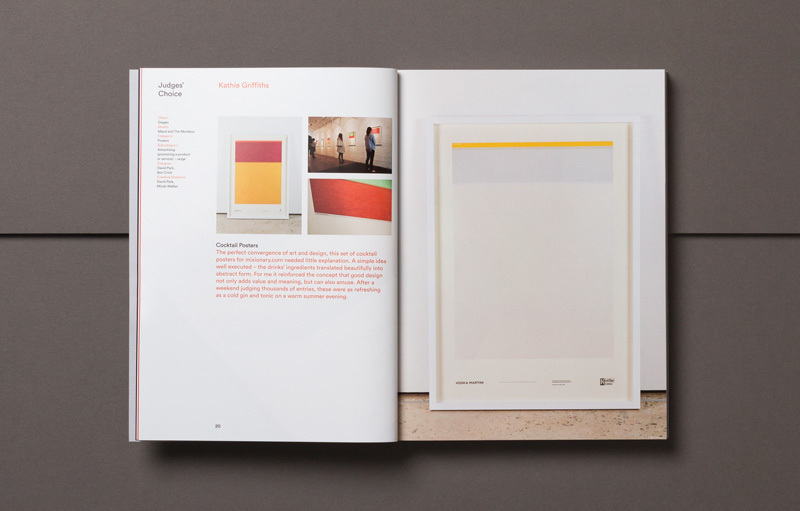 A digital platform documenting all award entries was developed by BTP, and the task of producing an accompanying printed compendium of award-winning work was our responsibility. 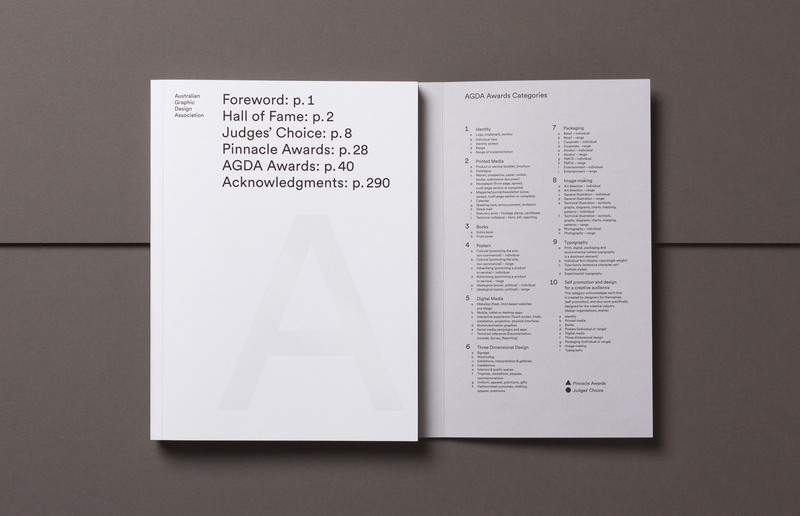 In contrast to previous compendiums, the format and scale is deliberately modest, reflecting a ‘back to basics’ philosophy. 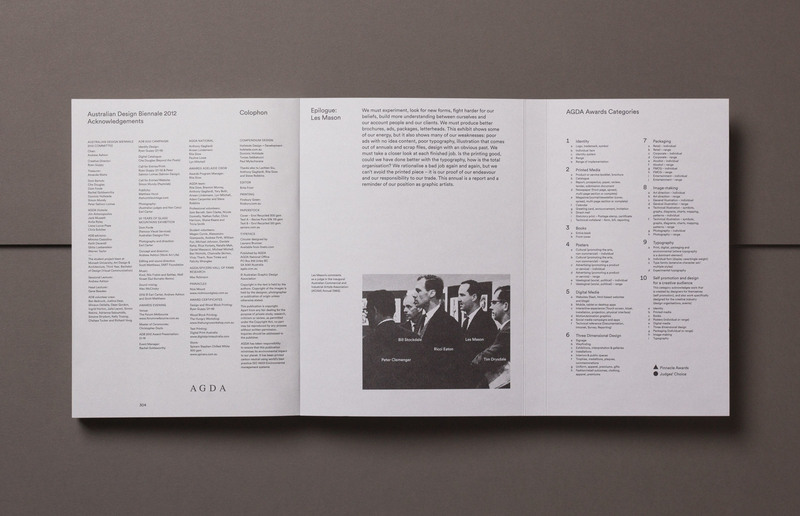 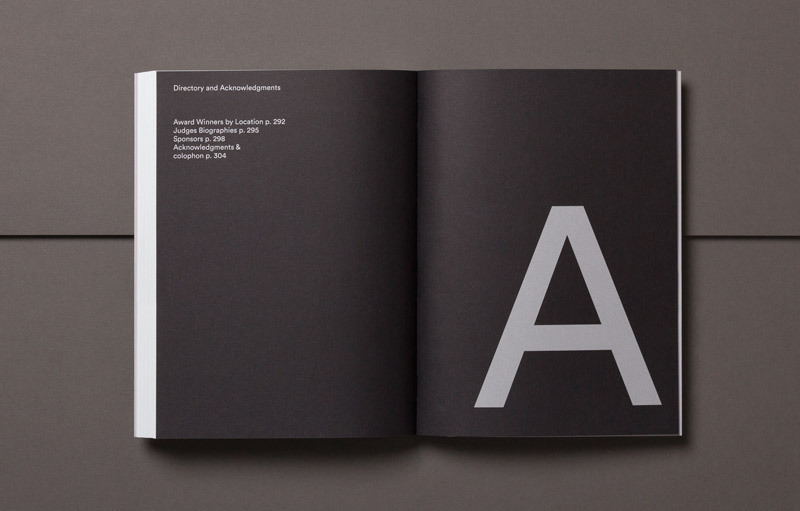 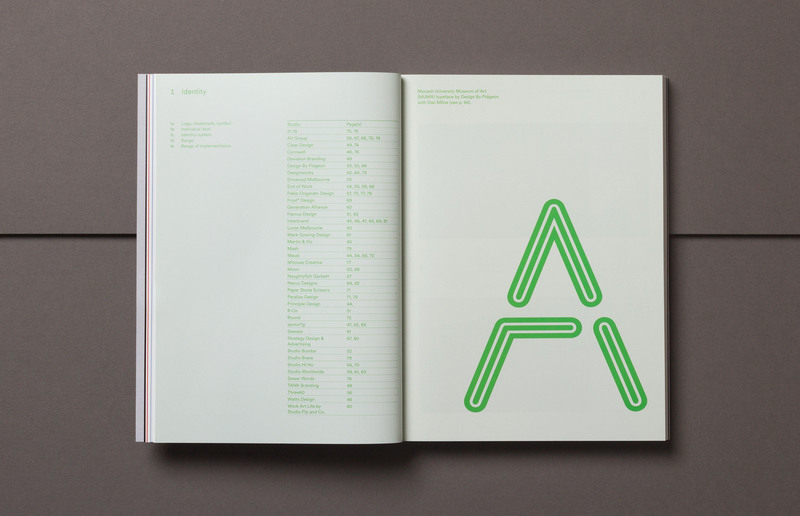 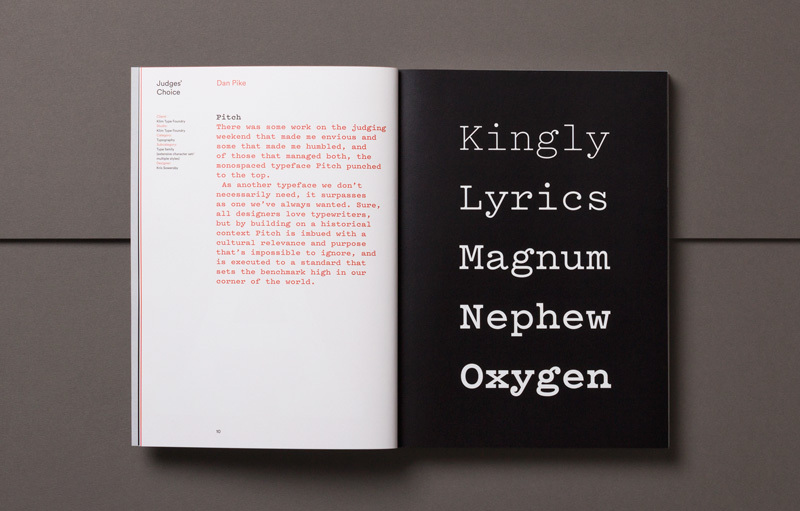 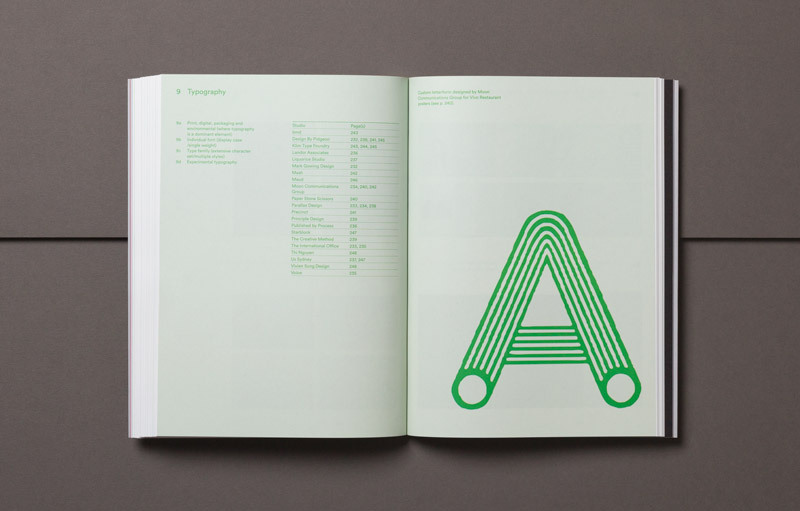 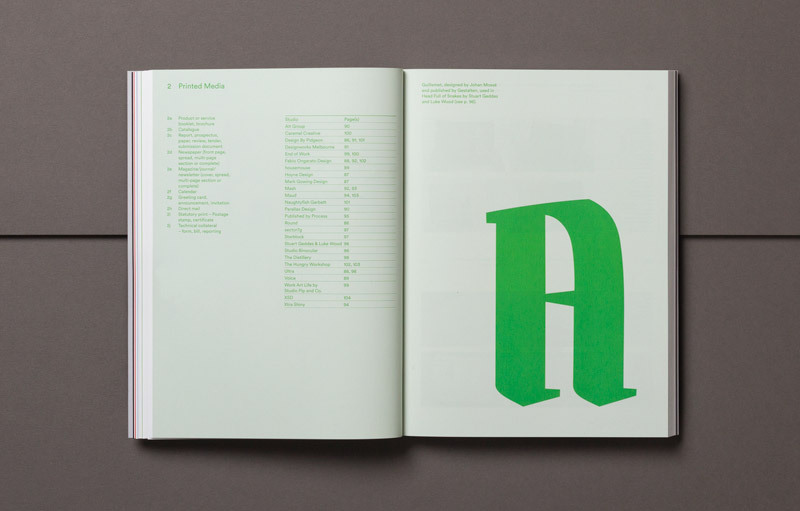 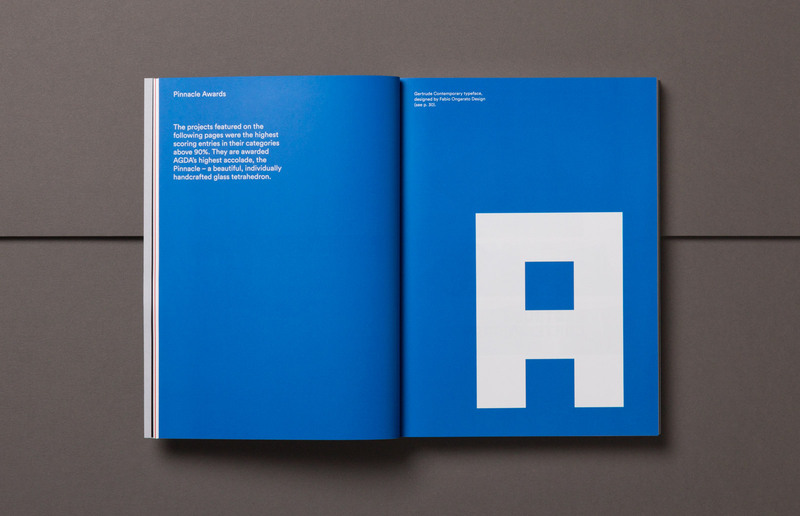 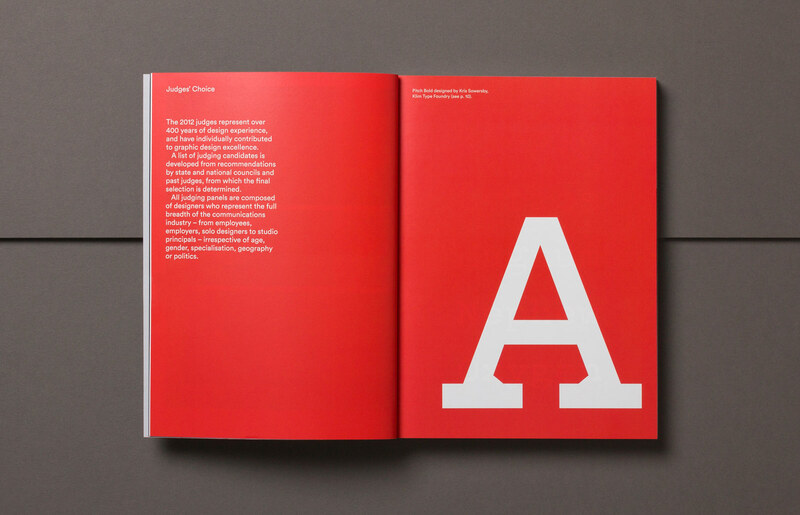 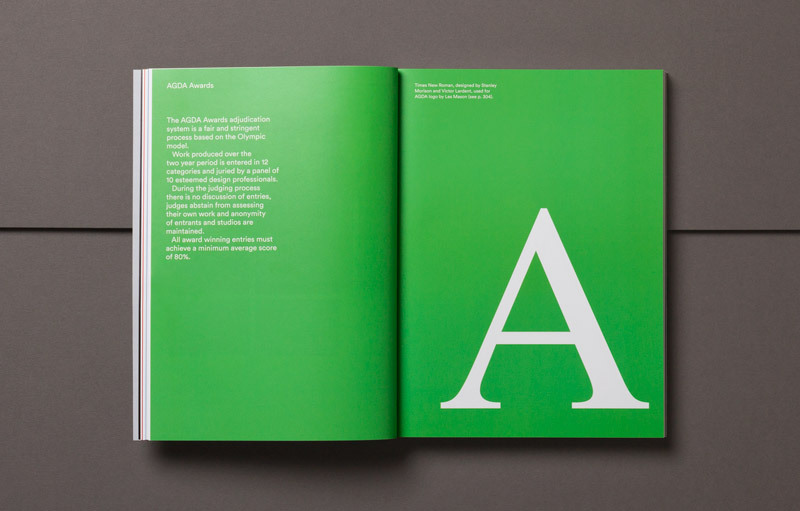 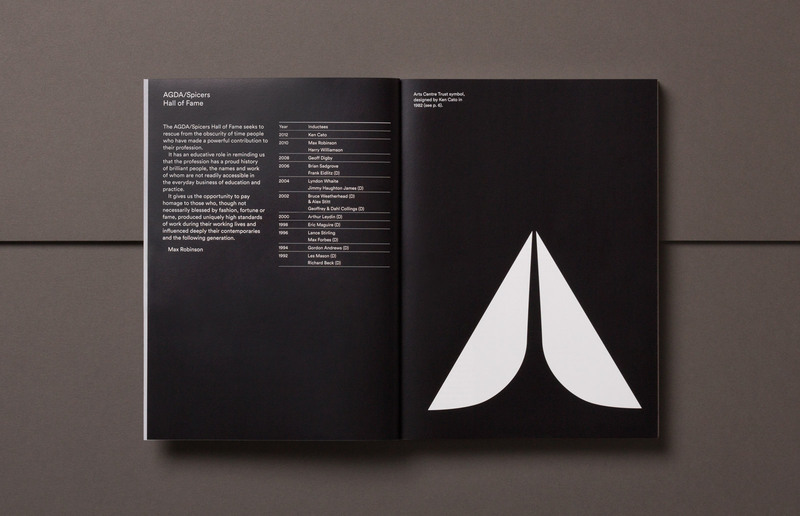 The book’s gatefold cover features a foiled letter ‘A’, introducing a conceptual theme of diversity and unity carried across numerous section dividers. 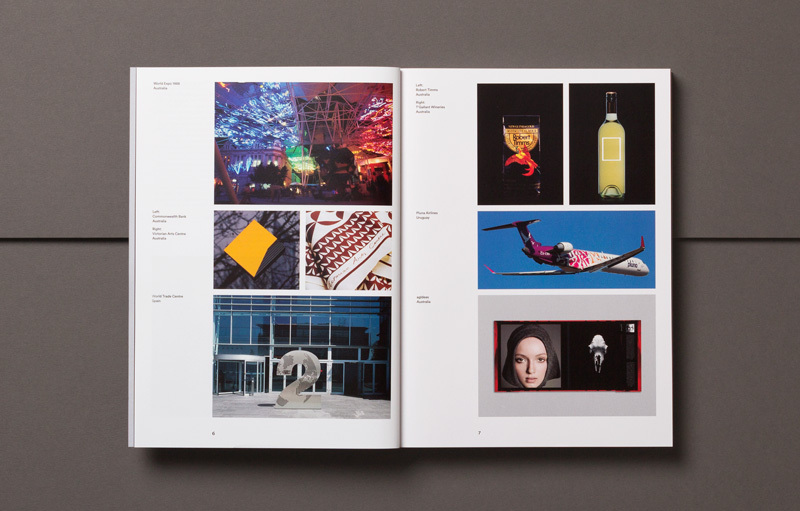 Considerable time was invested in developing a flexible modular grid suitable for the presentation of widely disparate imagery. 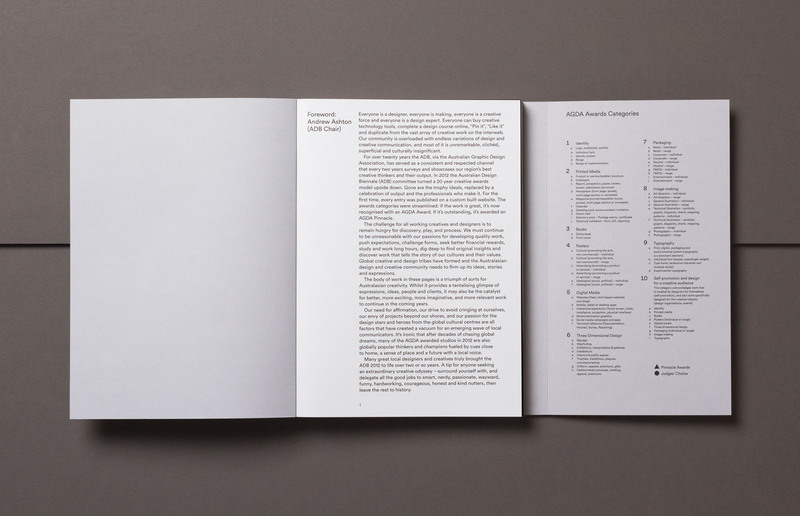 The book’s inside back cover features a stirring text from legendary Australian designer Les Mason. 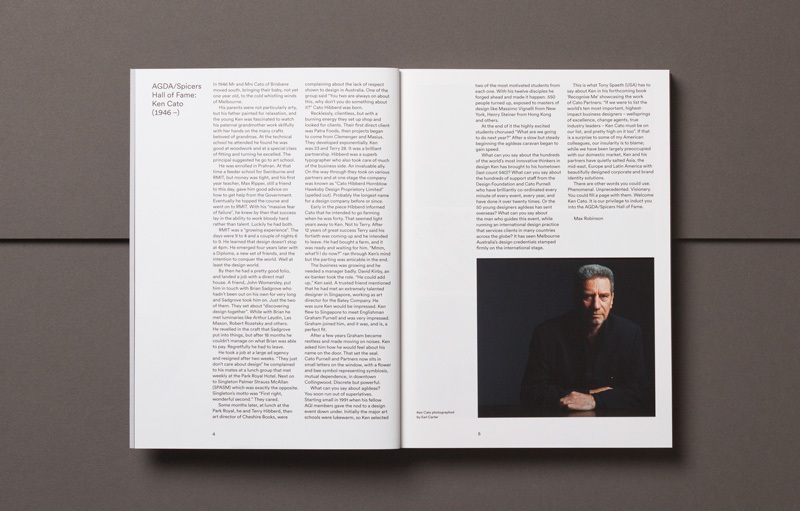 Originally printed in the inaugural Australian Commercial Artists Association (ACIAA) Annual in 1963, the extract’s evangelical appeal for higher industry standards resonates strongly today. 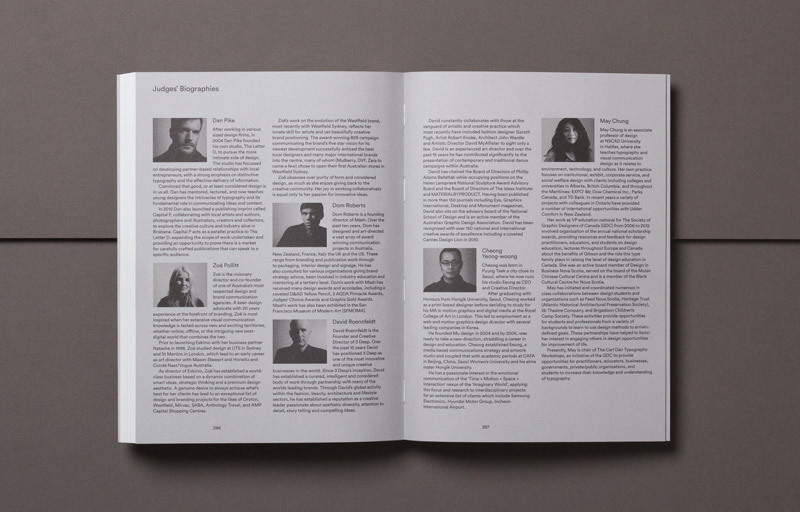 A pro bono undertaking, the compendium’s production was also supported generously by Finsbury Green (print) and Spicers (paper).